A Federal Pell Grant, unlike a loan, does not have to be repaid. Federal Pell Grants are awarded to students with exceptional financial need, as defined by the FAFSA. Both full-time and part-time students can receive a Pell grant, provided they meet the eligibility requirements, below. How Is the Pell Grant Disbursed? Around the 5th week of the semester, Federal Pell Grants are disbursed from the federal government and applied to the student's account. Like all payments and aid programs, the amount disbursed pays the student's charges first. Only after the charges are paid in full will a student received a refund. Students may receive up to two (2) full-time semesters per academic year. The amount of their award depends on their Expected Family Contribution, as determined by the FAFSA. For the 2014-15 academic year, the minimum full-time award is $301 per semester and the maximum is $2865 per semester. These amounts are prorated for enrollment that is less than full-time. Students may receive up to 12 full-time semesters of a Pell Grant (or part-time Equivalent) or until they have completed the requirements for a bachelor's degree; whichever happens first. Students may monitor their Pell grant usage at NSLDS. Effective with the 2013-2014 academic year, the U.S. Department of Education has established new regulations to prevent fraud and abuse in the Federal Pell Grant Program by identifying students with unusual enrollment histories. Students that have received a Federal Grant at multiple institutions in the past three academic years are flagged as having unusual enrollment. Once flagged, the Financial Aid office must take action and review the prior academic history to determining federal financial aid eligibility for that student. Therefore, Pell-eligible students that transferred to Buffalo State from one or more instructions previously may become ineligible for aid if they withdraw from Buffalo State and do not earn any academic credit. Learn more about Unusual Enrollment History. More information about the Federal Pell Grant is available at StudentAid.Gov. The Federal Supplemental Opportunity Grant (SEOG) is a campus-based, federal grant program that does not need to be repaid. Campus-based programs are managed by individual campuses and have limited funding which makes it important that students file their FAFSA by March 1 each year. Have an Expected Family Contribution (EFC) of 0. If there are remaining FSEOG funds after making awards to all 0 EFC recipients, the students with the lowest EFCs will be considered next. Around the 5th week of the semester, SEOG is disbursed from the federal government and applied to the student's account. Lifetime Limit None; but the student must remain eligible for a Pell grant which does have a lifetime limit.  Student veterans and dependents of veterans may be eligible to use their education benefits at Buffalo State. In many instances, veterans benefits may cover all of tuition. However, students are still encouraged to apply for federal and state financial aid as they may qualify for additional help. Students receiving Chapter 33 benefits must have their enrollment certified by Buffalo State for every semester in which they are trying to use benefits. Therefore, it is very important student-veterans work closely with the Veterans and Military Services Office.